The adventure begins in the cosmopolitan city of Vancouver, where you’ll board the Rocky Mountaineer in celebratory fashion, with waving flags and the sounds of bagpipers to send you off in grand style. It doesn’t take long before the city lights are behind you as you relax in this sleek all-dome fleet and watch the sun rise over the majestic scenery along the Fraser Canyon. 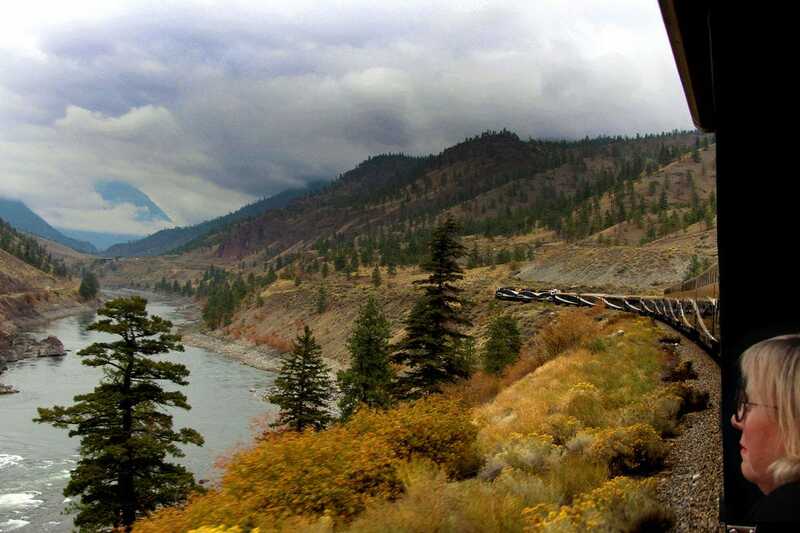 This route, "First Passage to the West," is one of dozens offered by the Rocky Mountaineer and one of the most scenic. 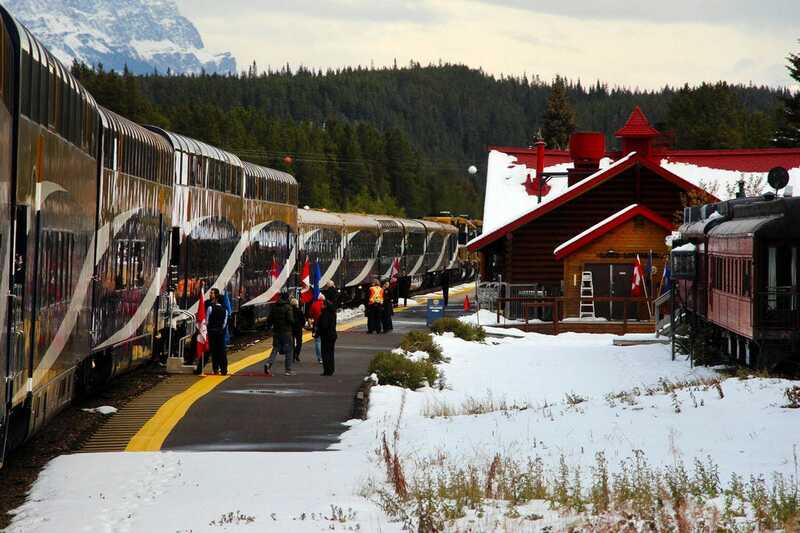 It travels over the famous Canadian Pacific Railway route, the country’s first transcontinental line which opened in 1885. 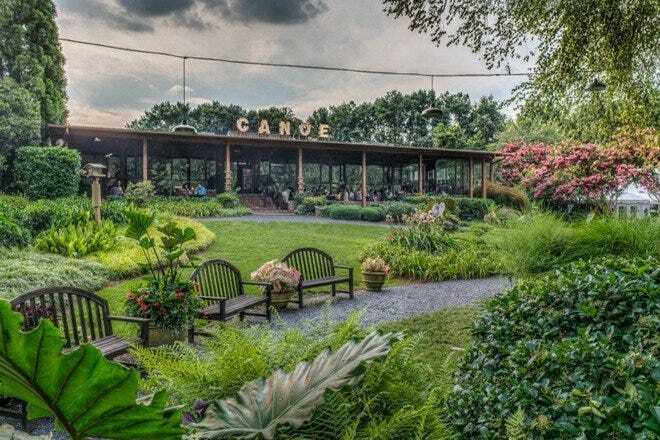 As if the spectacular scenery weren’t food enough for the senses, you’ll be treated daily to a three-course breakfast and lunch in the elegant dining car, as you roll past endless postcard-perfect views. The one challenge is trying to concentrate on your delicious meal while the splendors of the Canadian Rockies pass by, in what seems to be an endless slideshow of nature at its best. 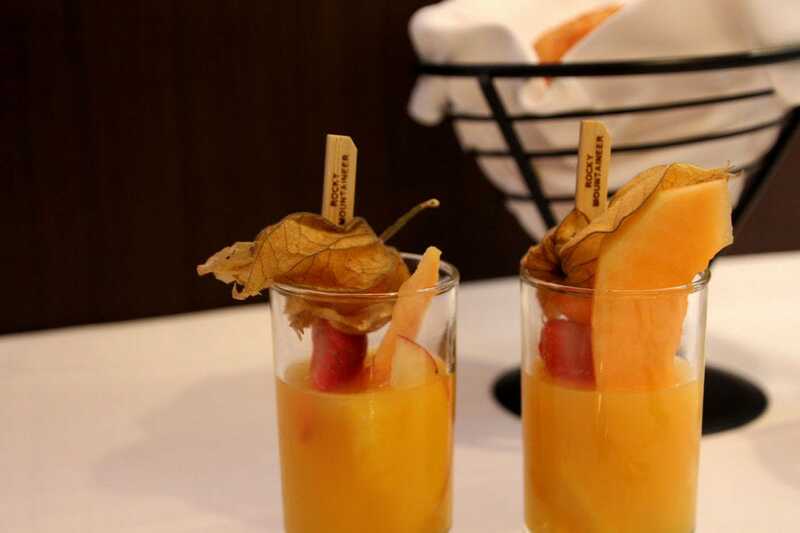 Speaking of meals, passengers have a choice of several entrees on the menu that cover all food preferences, from vegetarian to meat dishes and more. 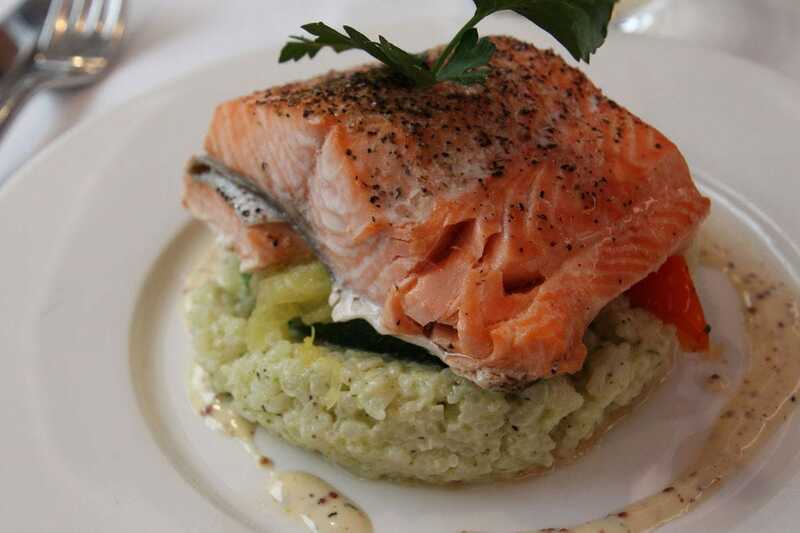 If you are a lover of fish, especially salmon, you’ll definitely want to savor this freshly-caught delicacy from local waters. 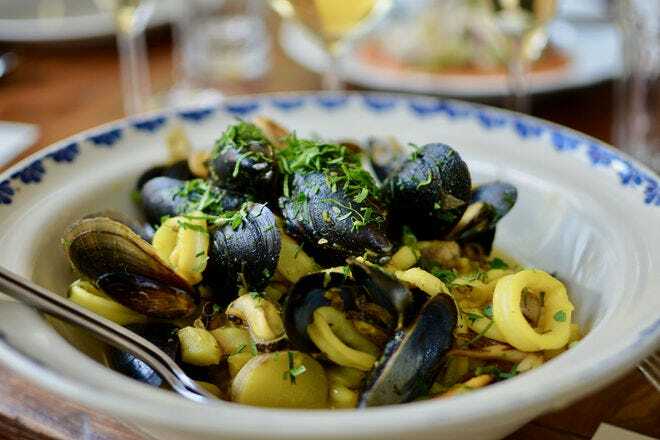 All ingredients are locally-sourced and an arsenal of talented chefs work together to prepare exquisitely plated dining experiences onboard. You’ll travel through spectacular scenery as you make your way along the Fraser River towards the town of Kamloops. 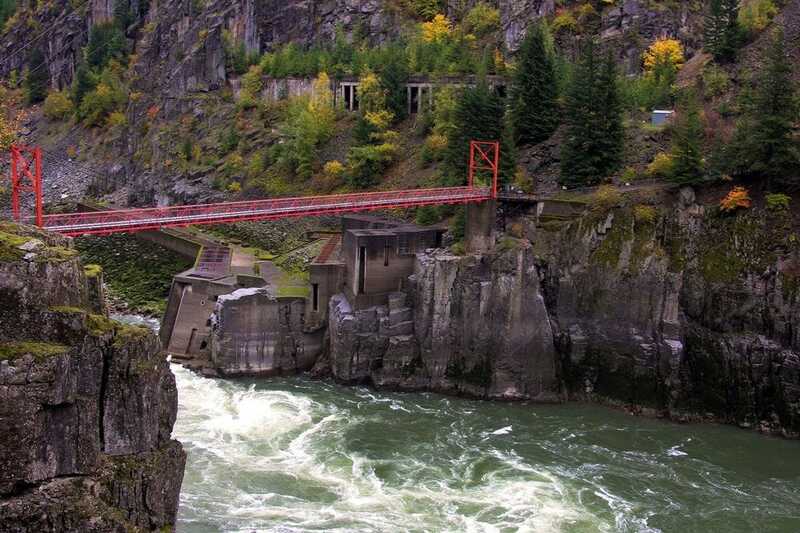 Appropriately named, Hell’s Gate is the narrowest section of the Fraser River. As a result, the waters flow through at an extremely fast rate. The red suspension bridge that spans the waters is a pedestrian bridge, but a safe guess is that crossing it isn’t for the faint of heart! 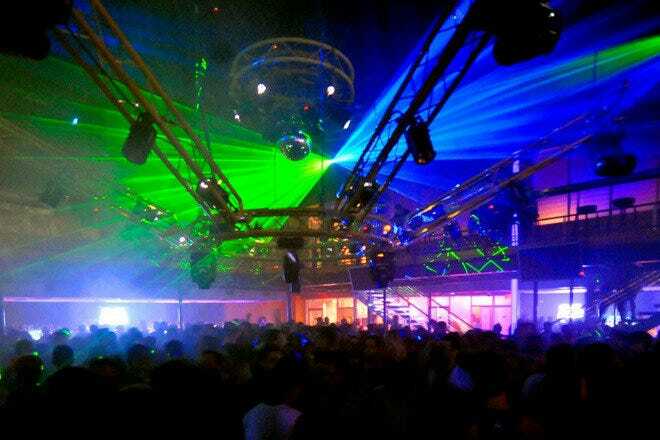 You’ll be invited to enjoy a wide variety of all-inclusive drink selections during your voyage. 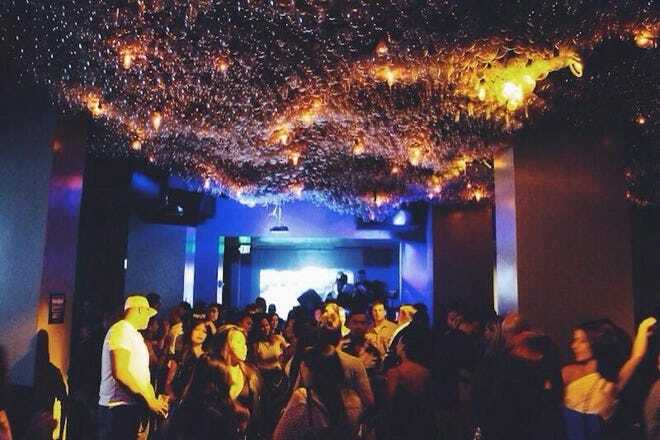 These include excellent Canadian wines and beers, spirits, liqueurs and non-alcoholic beverages. 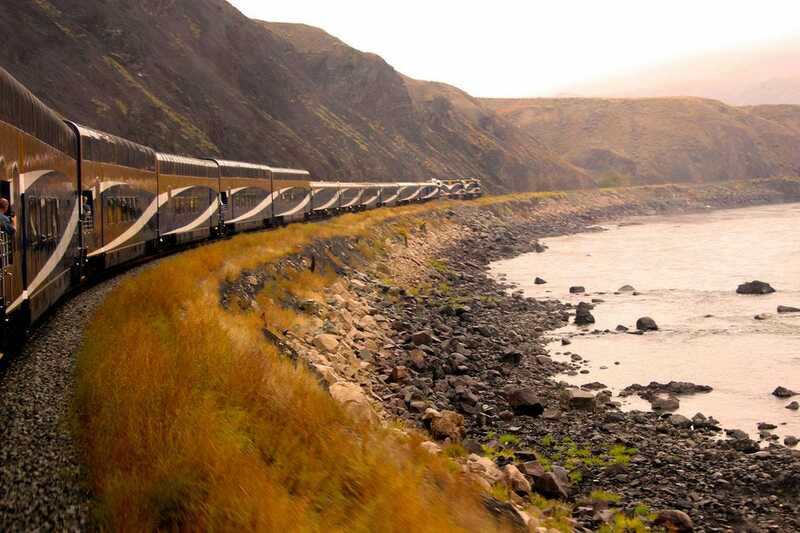 We can't think of a more romantic way to celebrate a life-changing moment than on a spectacular train ride. This young couple opted to spend their honeymoon discovering the pristine natural beauty of the Canadian Rockies, and can you blame them? The magnificent backdrop of the mountains surrounding the iconic and stunningly beautiful Lake Louise made for a picture-perfect honeymoon kiss. 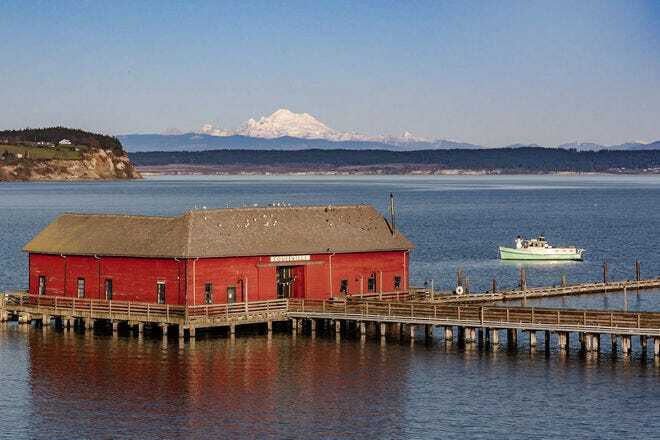 You won’t be able to hop out of the train to walk or bike across the Columbia River Skywalk, one of the longest suspension bridges of its kind in North America. 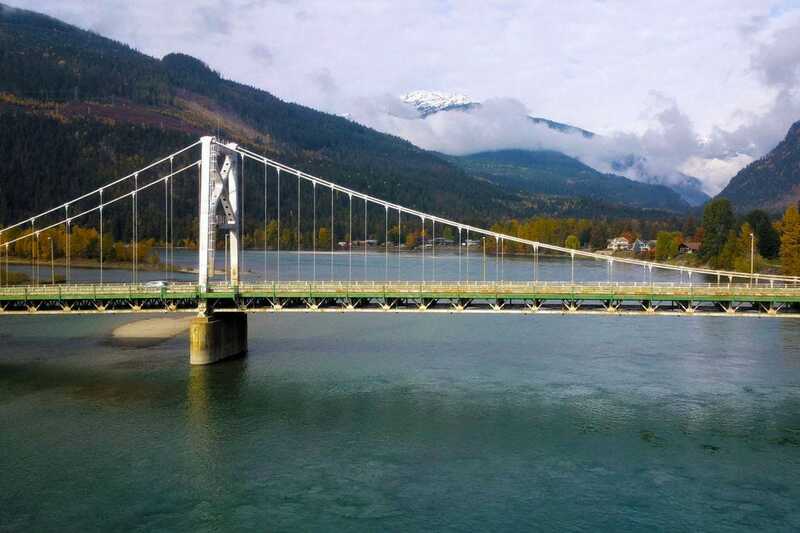 Nonetheless, it makes a great photo opportunity as you gaze at the bridge and surrounding scenery from your comfortable seat onboard the Rocky Mountaineer. 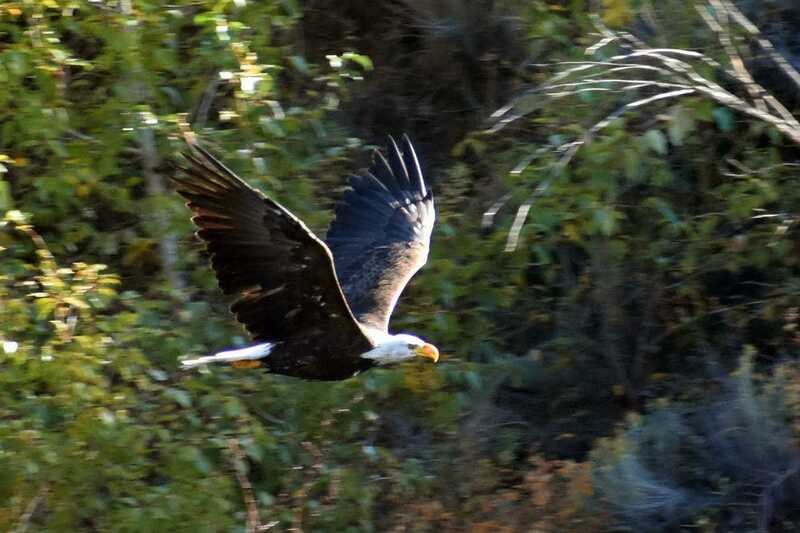 If you travel on the Rocky Mountaineer during September and October, you may be astounded at the number of majestic eagles that fly past your observation window. There is a simple reason for this. The salmon run takes place around this time, attracting a multitude of eagles (as well as hungry bears) just waiting for the feast! 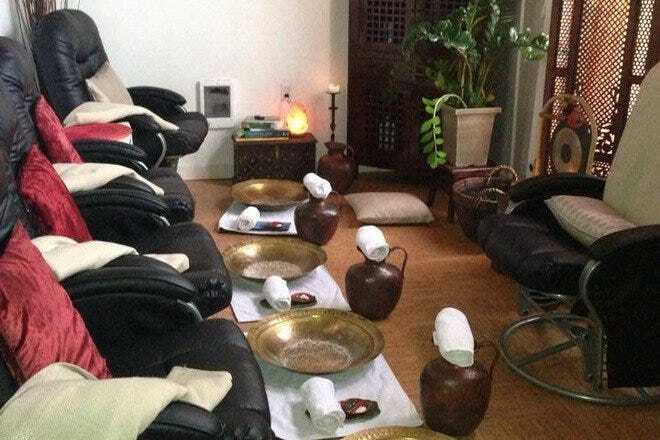 Talk about first-class service! 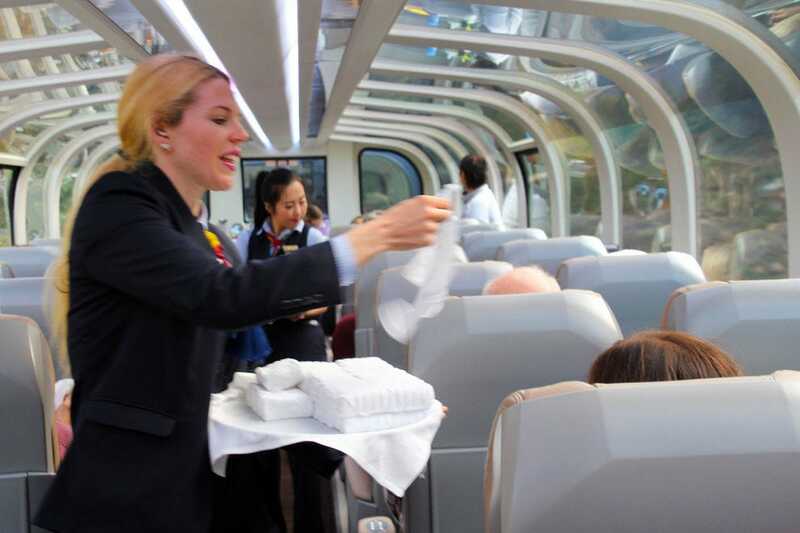 Before breakfast and dinner, each passenger is handed a refreshing hot towel to prepare for their gourmet dining experience. It’s easy to enjoy panoramic views through domed windows in the comfort of your seat. 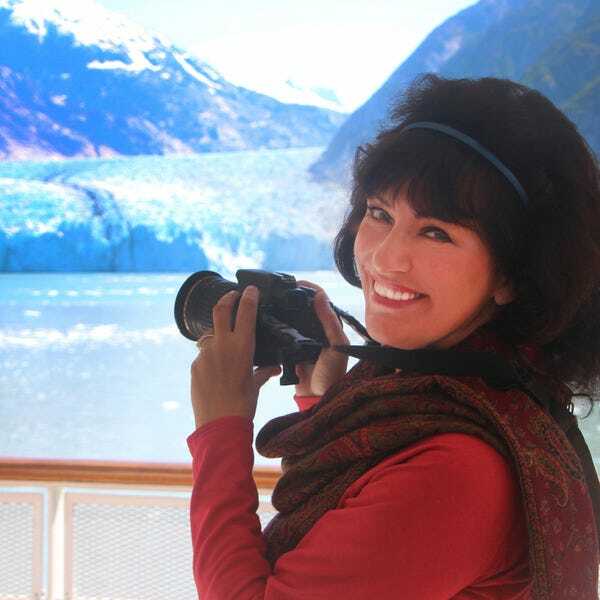 An outside observation deck on the first floor of the coach is also available, often a preferred spot for photographers to capture outstanding images of this epic journey. 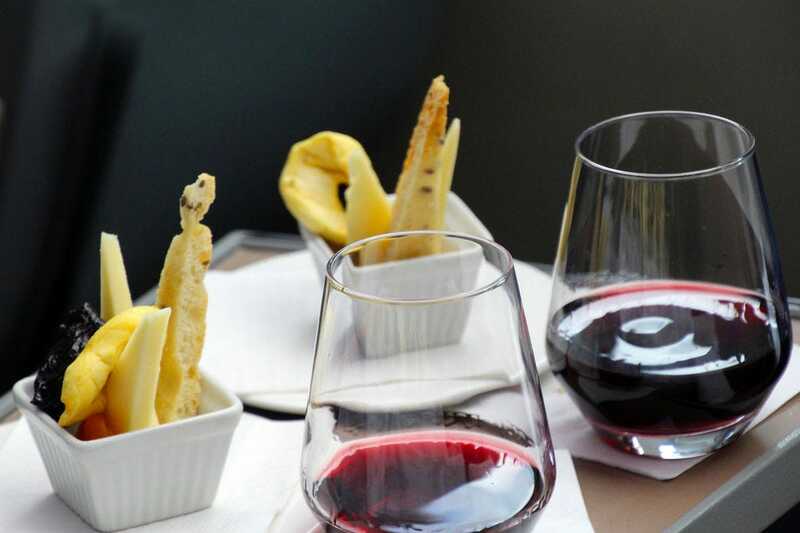 Each afternoon, as spectacular scenery glides by, you’ll be able to enjoy a wine tasting experience that highlights the outstanding regional wines and cheeses of Canada. 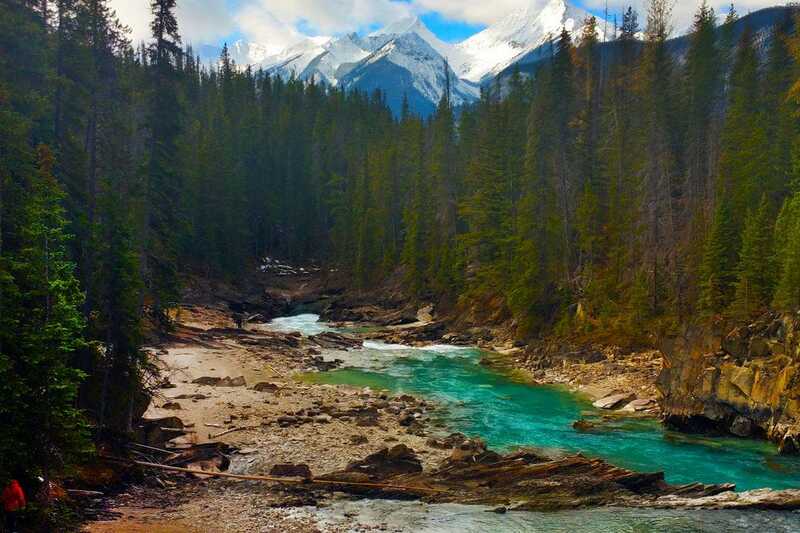 If you're wondering why your local rivers or lakes don’t reflect the vibrant turquoise as seen here in Canada’s Yoho National Park, there is a simple (or maybe not so simple) explanation. When the melt water from the glaciers begins to flow in the spring, it carries with it glacier silt (otherwise known as rock flour) created from the movement of the glacier. This sediment is very light and stays in the water a long time, and the sunlight reflecting off of it is what gives the lakes and rivers of this region such a spectacular hue. 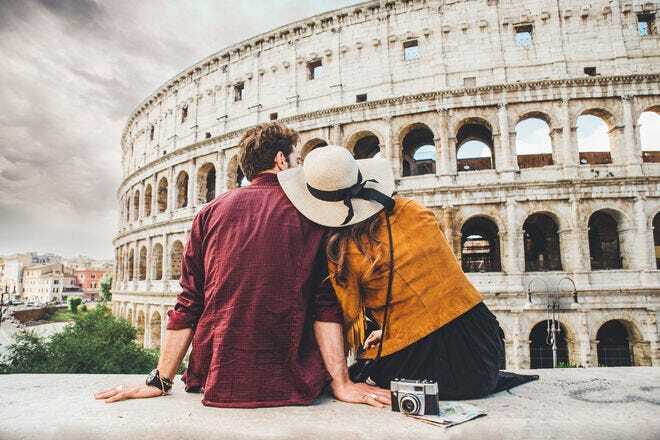 Whether you're using an SLR camera with all the bells and whistles, or your smartphone, you’ll be hard pressed to put either down as you wend your way through some of the world’s most spectacular scenery. For lovers of fresh-baked cookies, scones, and amazing desserts, you’ve come to the right place. 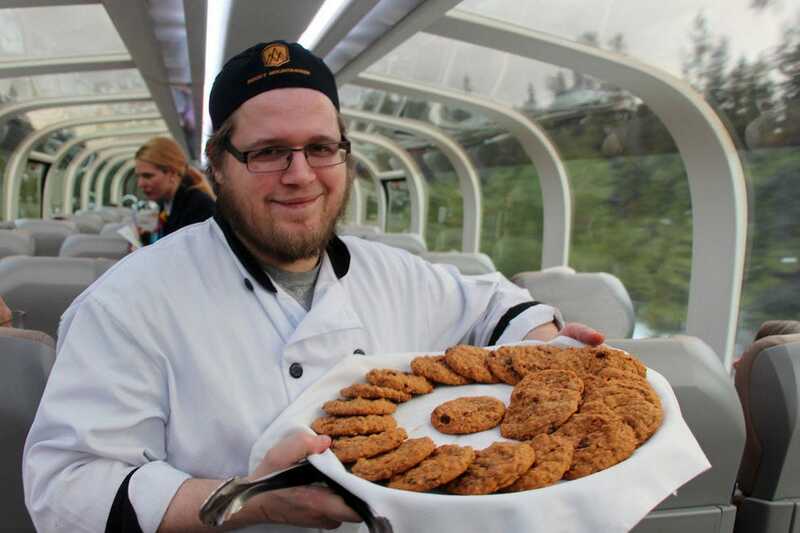 The chefs onboard the Rocky Mountaineer whip up some outstanding sweet treats, and are happy to offer them to passengers throughout the day. 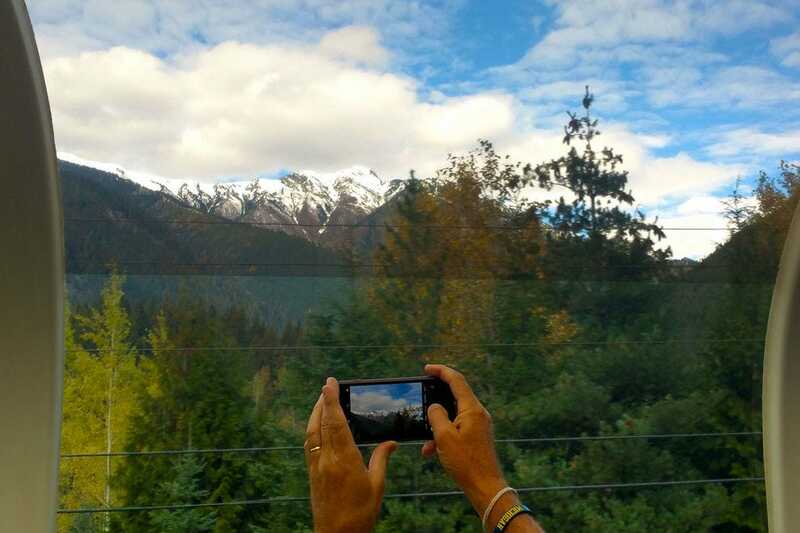 It’s not unusual to spot a wide variety of wildlife as the Rocky Mountaineer passes through Canada’s national parks. 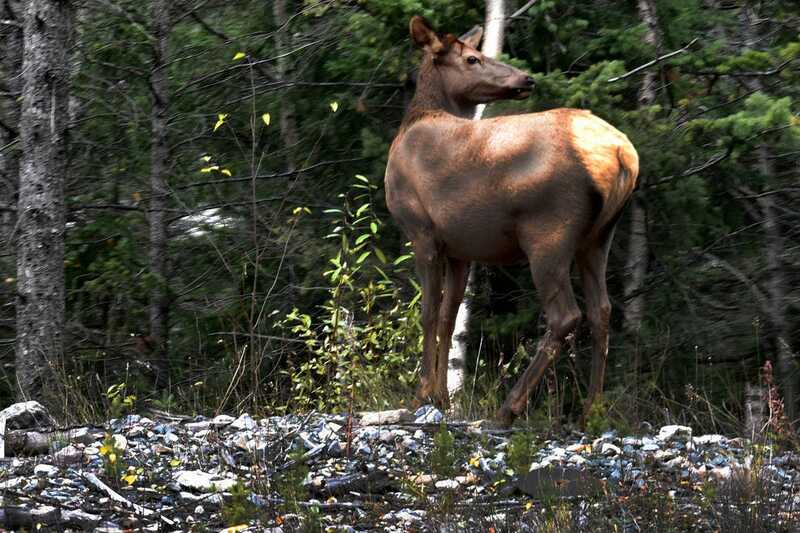 This young elk nonchalantly watched the train as it chugged through Banff National Park. This area is home to thousands of elk as well as 57 species of mammals, 265 species of birds and 19 species of fish! Be prepared for snow, even in September and October, as part of your Canadian Alpine experience. The lovely blanket of snow adds a lovely touch to the golden fall foliage and makes for some awesome photo opportunities. 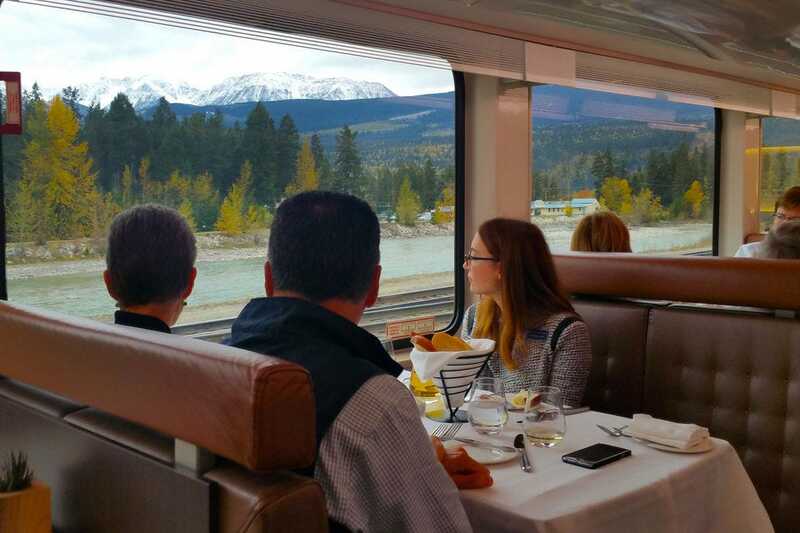 Your onboard Rocky Mountaineer experience will end in Banff, but the adventure doesn’t stop there. 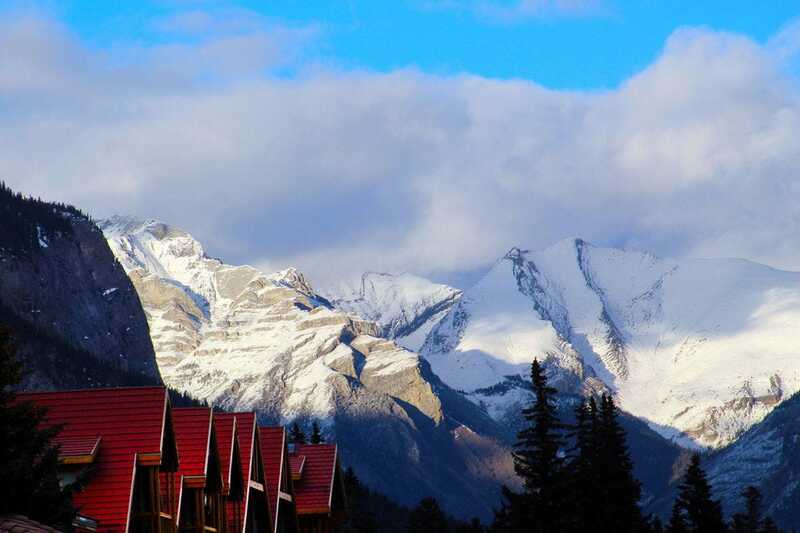 The company organizes bus tours to various locations, such as a visit to Jasper National Park to view the amazing glaciers along the Icefields Parkway, as well as side trips to Lake Louise, Yoho National Park and other spectacular destinations. Banff is located in Canada’s first national park and is a designated UNESCO World Heritage site. 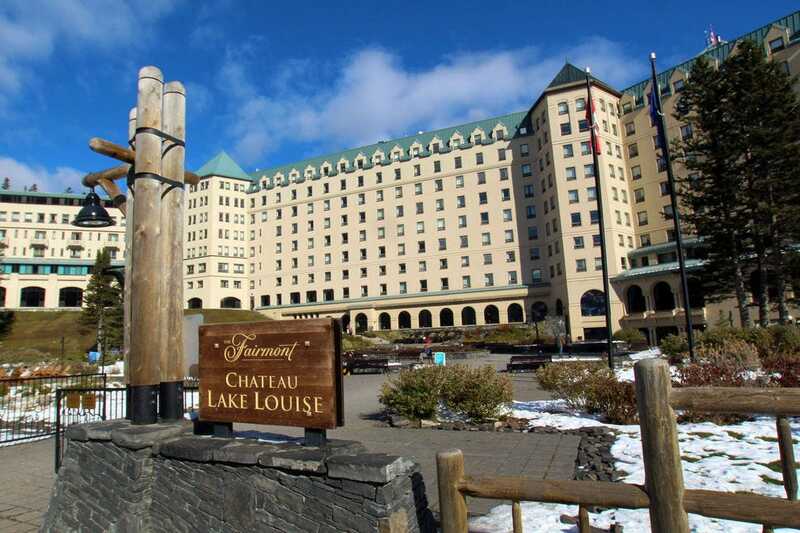 While Canada's spectacular Lake Louise is definitely renowned as one of the world’s most beautiful natural sites, the Fairmont Chateau Lake Louise, one of Canada’s grand railway hotels, is an icon in its own right. Built in the early decades of the 20th century by the Canadian Pacific Railway, the hotel stands majestically on the lake’s shores. Tour the historic lobby and gardens during your visit and, if time permits, enjoy the wonderful tradition of afternoon tea while gazing out on spectacular views of Lake Louise and the Victoria Glacier. 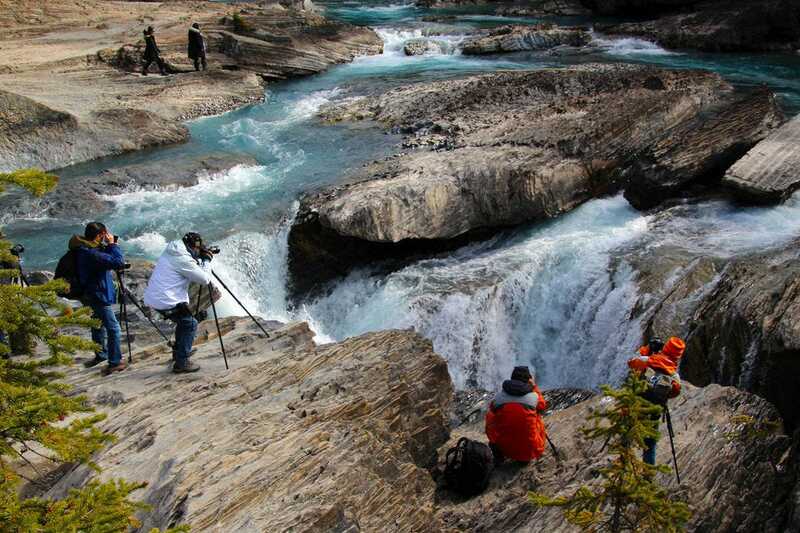 Photographers attempt to capture the beauty of the raging waters of the Kicking Horse River near the Natural Bridge in Yoho National Park. 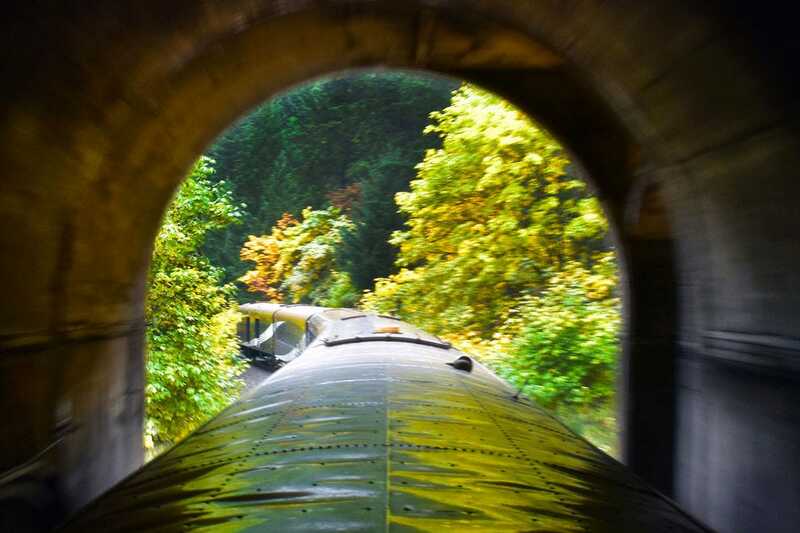 You’ll go through countless tunnels during your journey on the Rocky Mountaineer. Some of the most famous are part of the intricate Spiral Tunnels, opened in 1909. An amazing feat of engineering, this series of tunnels is one of the steepest, most scenic railway lines in North America and the only tunnel of its kind on the continent. It crosses the Kicking Horse River and runs under (and through) two massive mountains. 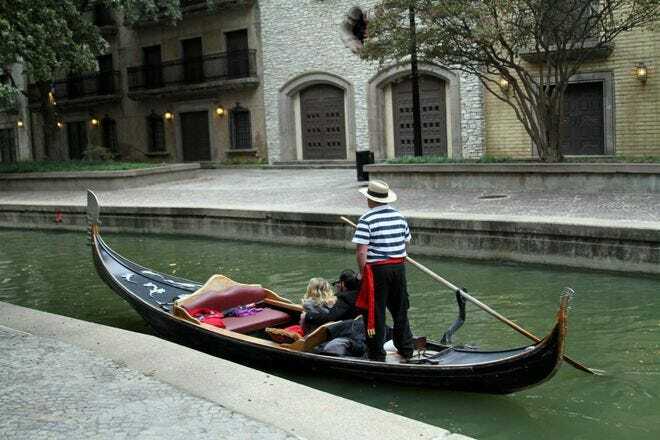 It's considered one of Canada’s major historic attractions.